Daily Turismo: The Fast And The Furious 15th Anniversary: What Would Paul Walker Drive? The Fast And The Furious 15th Anniversary: What Would Paul Walker Drive? Tomorrow (June 22nd, 2016) 1,500 theaters across the country are showing the original The Fast and The Furious. What car would you drive to the showing? Keeping in mind DT's budget limit, scour your local craigslist for the perfect ride to granny-shift to and from the theater. Considerations: Wild paint and neon are great for attracting crowds of teenagers and police officers alike. Bonus points for cars featured in the 2001 film, whether or not they're modified (with two of the big bottles of NOS, of course) to be a 10-second car. 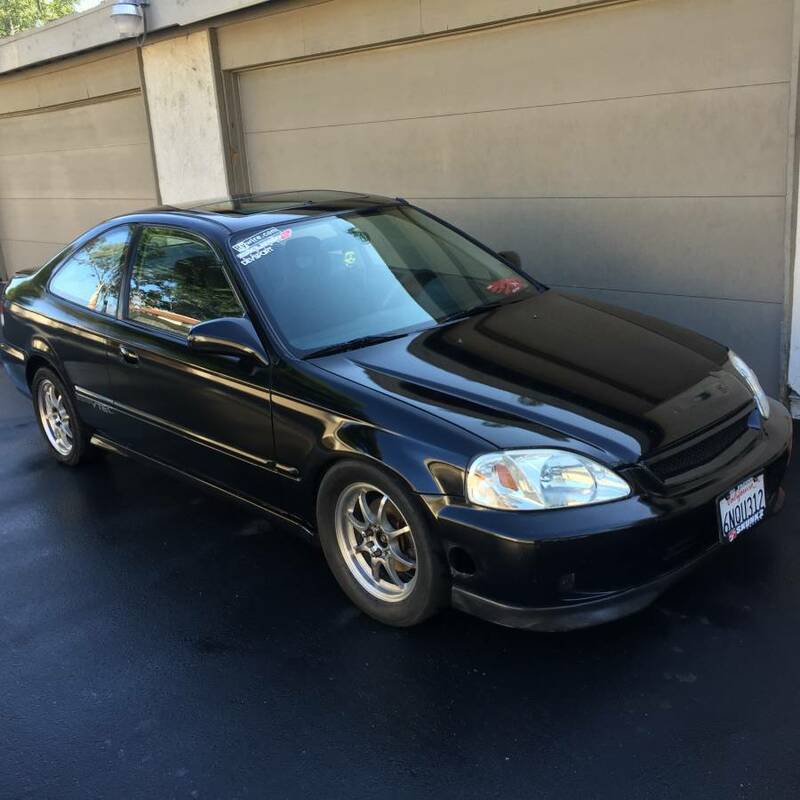 Let's kick this off with a 1996 Honda Civic that has an engine bay crammed with JDM goodies, and zero chance of legitimately ever passing a Cali smog test. Of course the car "needs a tune" because the current turbocharger and fuel setup is totally different from the last time it was "tuned" but it is located in the city of Anaheim -- a hotbed of Orange Country sport compact scene back in the day. The price is listed at $6,500, but the fine print says the seller is "testing waters for a tradee". Awesome. Find something more appropriate for a screening of the original Fast and Furious. Comments below (thanks to Philol for the article idea and words). Dom drives a red rx7 in the original. This one is pretty cheap. This Eclipse manages to look as if it could have been brought to the original premier with that body kit, although to really look period correct it needs to lose the Buick vents on the doors and go with some different wheels. Sure, it's probably dog slow, but so were most of the props from the movie.